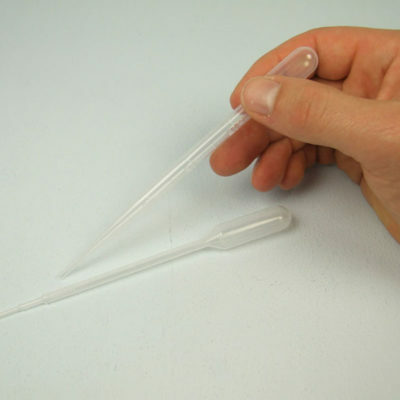 For adjusting the pH of Palladium Tank Plating Solution. This raises the pH. See the ‘Tech Specs’ tab on this tabbed panel for information on how to use this product. Testing our palladium solution with our pH testing kit to find out how much Palladium pH Adjuster to use. 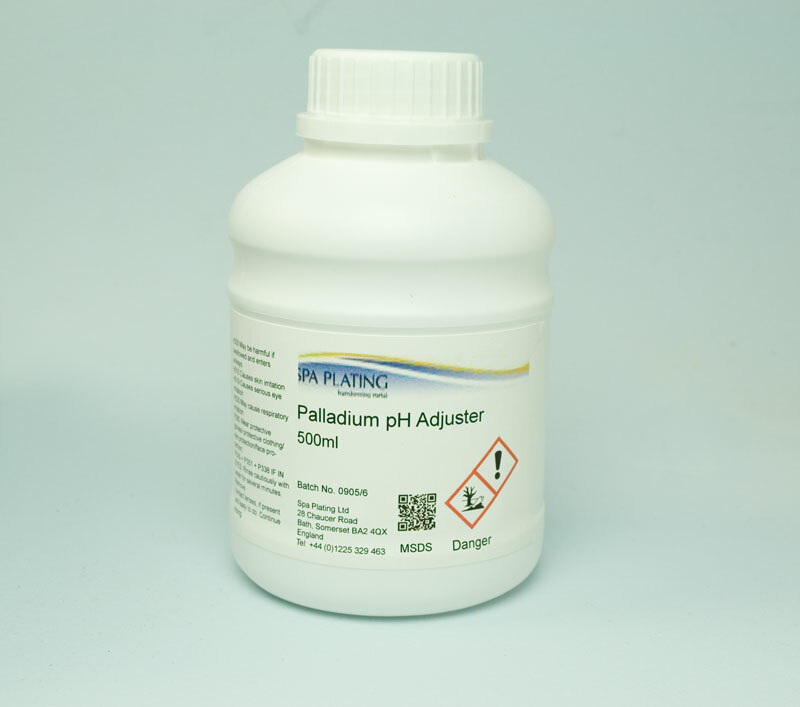 The pH can be raised usting Palladium pH Adjuster . 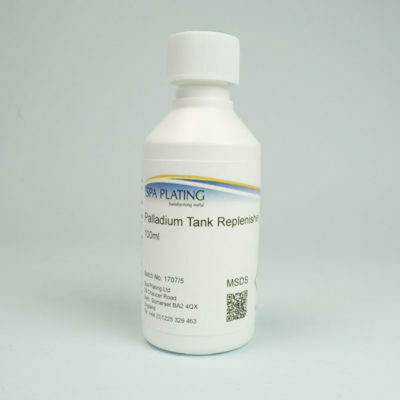 Over a period of time and especially at operating temperature, the pH of Palladium Tank Plating Solution decreases and needs to be raised using Palladium pH Adjuster. Please click HERE to see the Palladium Tank Plating Calculator. 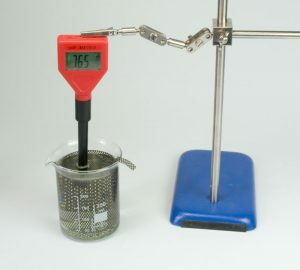 Once you have found out its pH level, you can then add this data to the Palladium Tank Plating Calculator which you can find by clicking HERE, to work out how much adjuster to add to your tank. The pH can be raised using Palladium pH Adjuster. 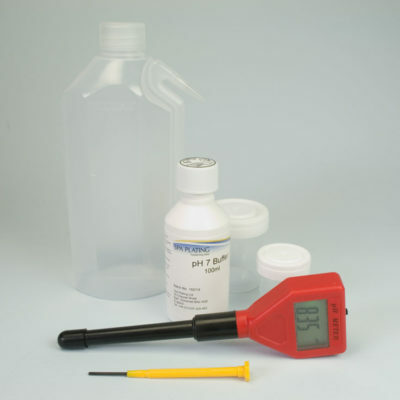 To work out how much of our Palladium pH Adjuster to add to your Palladium Tank Plating Solution you will need to test its pH with our pH Meter Kit. Please click HERE to see full instructions in our Electroplating Manual.